Build your sales team from the rookies to the all-stars. Here are steps to help develop your team and earn the right to compete against other sales teams. It's All-Star Game time for baseball fans, who will flock to Minnesota next week for the MLB All-Star Game. Becoming an All-Star in baseball requires exceptional work in the first half of the season (and some degree of popularity -- it is a fan vote, after all). Every team is allowed at least one player for the game, though the best players claim starting roles in the early innings. There may not be an official sales strategy All-Star competition, but that doesn't mean you shouldn't groom your team to rise from the rookie leagues to the All-Star level. Here are the steps to help develop your team of All-Stars and earn the right to compete against other sales teams. Looks like you have some new recruits on your hands. They’re all pretty green – some are draftees fresh out of college, while others might be journeymen looking for a new opportunity. In either case, they’ll need to learn the ropes of sales before getting called up. Give your new team some time to nail down the basics, and then have them move up to the minors. Baseball rookies rarely spend significant time in the rookie leagues – it’s their performance in the minors that ultimately decides their professional fate. Depending on your team’s performance in the rookie leagues, they could be slotted into development minor leagues or placed on the fast track to the majors. This is where your major league players can help coach and mentor new recruits through the curveballs that arise in modern selling. Players who harness and enhance their skills over time become desirable for major league promotion. Once they get the call, they are expected to immediately contribute to the team’s success – or risk returning to the minors for further development. Now your team has hit the big time – but that also means they have a big responsibility to fill. Many minor leaguers are called up to fill a temporary hole on the major league roster – but if they prove themselves capable, that spot might just stay open. For most major leaguers, this is as far as their career takes them. However, a few chosen players demonstrate exceptional talent in their major league careers, advancing to the final stage of professional development. Few players make it to this level, but those who do have become experts in the sales craft. Not only are they focused on the right people and companies, they also stay informed on all prospect updates and have considerable trust with their customers. All-stars are popular figures, carrying extensive influence with the audience. Your all-stars serve as your organization’s closers – when the deal needs to be made, you call on the all-stars to make it – they are the Mariano Riveras on your squad (sorry Yankee haters). 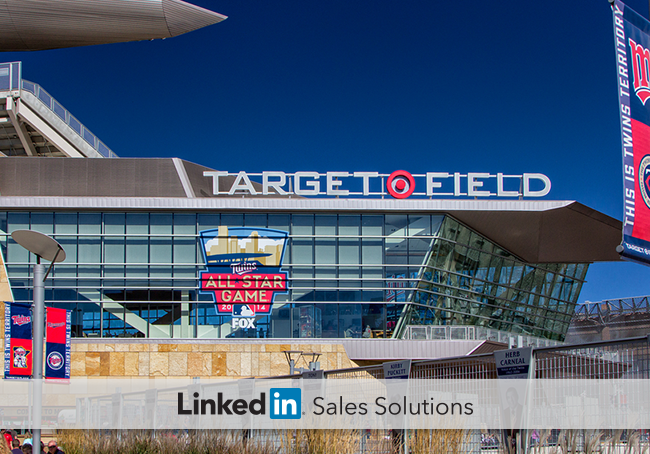 Reaching all-star status isn’t an end goal, though – merely a step toward consistent success with your sales strategy. Are you fostering young talent in the sales rookie leagues? Do you have some sales all-stars on staff to help train new recruits? Get 17 tips to start the social selling transformation on your team.